Ok, more than one person is interested in my process, so here it is. 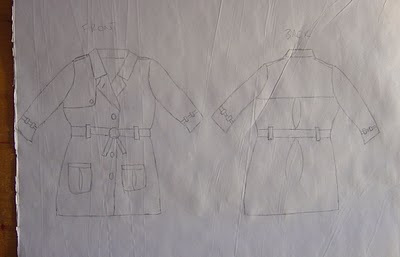 I decided firstly that this is to be a coat for a small person - about Isabella's size (no self-interest in MY work, hehehe) so it will have the look of a traditional trench, but with simplified details. 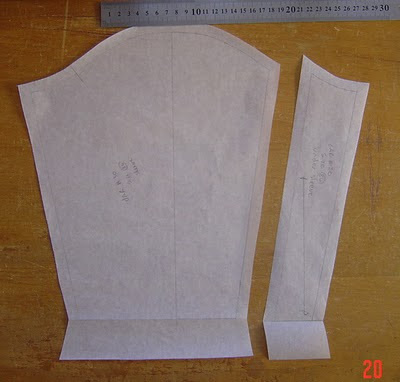 It will be single breasted rather than double, and will have a simple one piece collar instead of a collar with a stand. 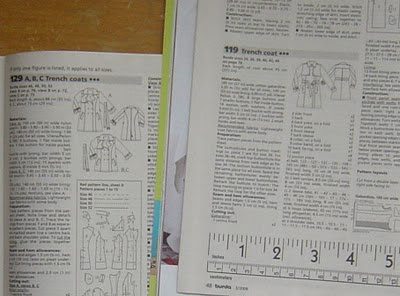 I began by browsing a few of my old Burda WOFs to remind myself of the trench coat features. 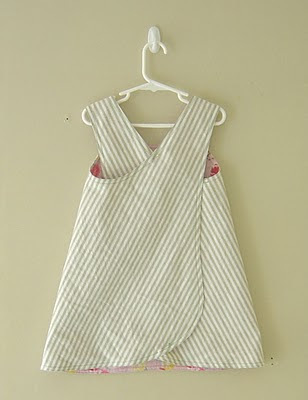 I decided to eliminate extra panel/princess seams for fear of making the garment too busy. Once I've made it up once I may revisit this decision if it looks too plain. Next up was a sketch of what I intend to draft. Can we just say that sketching is not my forte and leave it at that? The only reason I spent as much time on this one as I did was because I knew I was bloggging it and my normal sketches are pretty much unrecognizable to anyone but me! Finally getting to the fun bit! After checking my blocks I realised that the best block to use was one I didn't have - the flat overgarment block. It's a simple block which works well, so I began by drafting that. 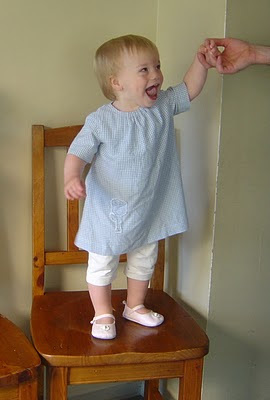 It's from my beloved Metric pattern Cutting for Childrenswear and Babywear by Winifred Aldrich. I have the 4th edition and I love love love it! 2) flared very slightly. Since it's such a small amount I just added it to the side seam then measured the new side seam and marked the length to match the original one. Then I drew the hem to meet that point. For more flare I'd slash and spread the pattern. 3) lowered at the neckline by 0.5cm. Just to make sure it doesn't strangle. The cross hatched bit is what was removed. 4) overlap to accomodate buttons was added to the CF. 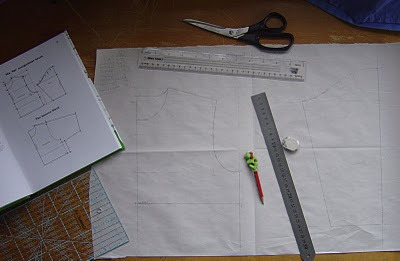 After this I folded the paper along this line and traced the neckline and part of the shoulder line to create a facing line. 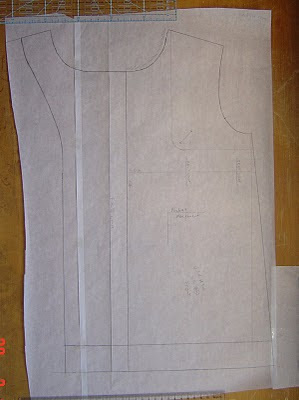 5) details such as the front panel, belt loops, and pocket placement have been drawn on. This is partly to evaluate proportions as well as marking them for making up. Apparently I didn't photograph the back. It had the same flare added, and a pleat at CB. I wanted the sleeves to have a back seam so just drew it on the whole sleeve and traced it as two separate pieces, with added seam allowances. 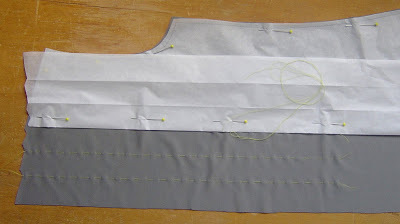 The hems were folded up before cutting so they have the shape needed when turned in. This back sleeve seam serves no functional purpose, it's just for decoration. It's not a trench coat without a back flap, so here it is. I drew a line horizontally across the back pattern piece to line up with the bottom of the front flap and traced around it. I added a tiny bit of flare to it so the coat allows plenty of movement. Because the added flare is such a tiny amount I didn't bother doing it "properly". I just extended the bottom line 1cm and redrew the CB to meet it. The back will have a pleat in it and I want the panel to be slightly wider at it's base to allow the pleat to open a little. 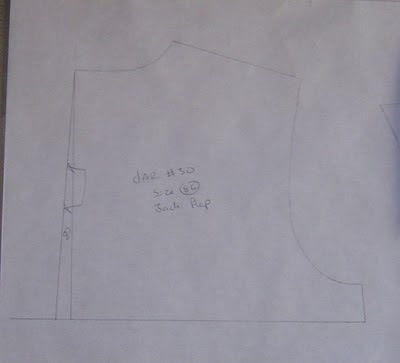 I drafted a basic collar from Aldrich (to match the new neckline, not the block! ), and belt, belt loops and pockets from measurements I made up to please myself. Then I cut it out in a nice raincoat fabric I happened upon in Anne's last week (which is what inspired me to draft a trench in the first place). Lets face it, there was never much chance that I'd get around to getting fabic for my jeans THAT fast was there? 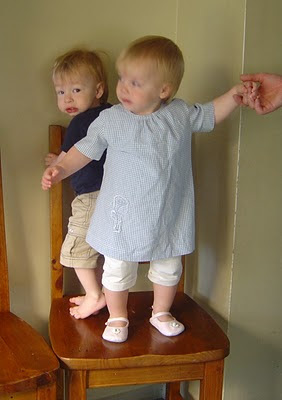 I did have these two wee dresses ready to go and needed to get a couple of things made to replace the couple I'd sold, so obviously they went to the top of the list. To get a pattern for a bubble dress with bubble sleeves I first thought of combining one of my existing bubble dress patterns with another I'd drafted with sleeves in it (since the armhole and shoulders of the bubble dress had been altered quite a bit from it's block) but to my surprise they would not marry AT ALL! I've been a bit slack about keeping complete records about which block each design came from, and these two patterns must either have come from different blocks or been altered over the course of developing several new patterns to the point where the small changes added up to insurmountable differences. (I often begin with an existing pattern rather than a block, if the design is closer to where I'm going). I figured that since I had to go back to the block and start from scratch anyway I might as well take the opportunity to draft a size 2, since I didn't have that size drafted already. 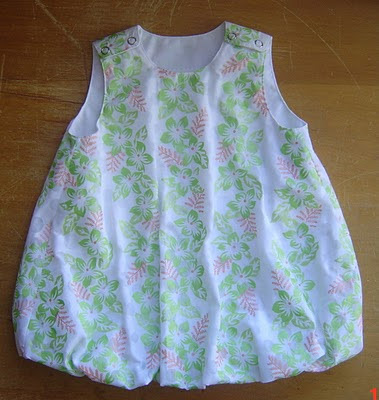 I am really pleased with how the draft turned out, and it'll be an easy matter to alter this pattern to the pinafore style of my other bubble dresses. 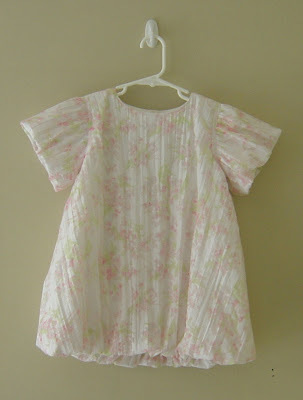 And because it was a very quick easy thing to make, and they seem to be popular, I also made one of my original bubble dresses. 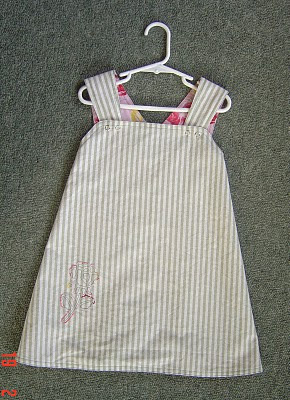 Just for a change I managed to sew for MEMEME this week! Keely conveniently ordered some Jalies from Patternreview and kindly let (lazy) me piggyback on her order. I got 2919, the pleated cardigan, and 2908, the much-raved-over stretch jeans. 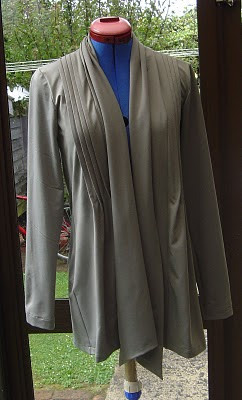 I had fabric ready for the cardy before the pattern even arrived, and made it over the last couple of days. Being restricted to nap times can make sewing slow going, but getting the pattern on Wednesday and having it made up by Friday isn't bad! Biggest problem was getting a reluctant 8 year old to take a good picture of me. Eventually I figured that this one is the best I was going to get. Please ignore the odd angle, dodgy focus and smirk. 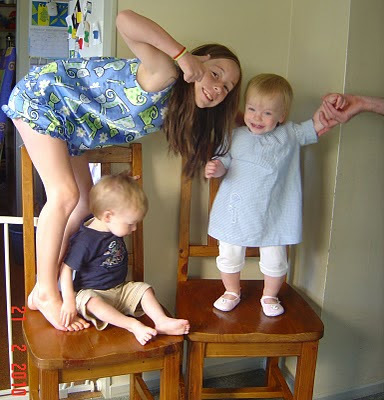 Not sure WHY I was smirking, but trust me, the other photos were much worse! I'm really pleased with this and looking forward to wearing it, but next time (oh yes, there WILL be a next time. Or three) I would like a drapier fabric. This is "cairo" from Spotlight. Very comfortable, but a bit more stable than I think would be ideal. Good stretch and recovery (90% polyester, 10% spandex), but I think a bit less "beef" would be good. I may fiddle with the sleeves too. The reviews on Patternreview note very skinny sleeves. I have slender arms, and I like slim fitting sleeves (BECAUSE I have slender arms - show off your best bits!) so I'm quite happy with this as is, but I do like a high, skinny sleeve cap too (because that shows off my shapely shoulders to best advantage. I put in a lot of work at the gym to get those, and damn it, I want to focus on them instead of my cankles! ), so I may try a different sleeve. (You can see a couple of wrinkles in my right sleeve which suggest that a higher sleeve cap might sit better.) 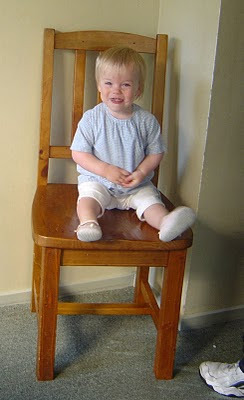 Then again, I may not be bothered enough to make the effort. 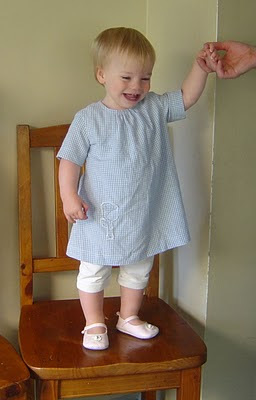 Since this is that contradiction-in-terms a wearable muslin I made it straight from the pattern. Measuring put me at a size S and confirmed that my arms would fit down the sleeves so I just went for it. I added 5mm to the seams because I don't like working with 6mm seam allowances. I also had to shorten the sleeves by a couple of centimetres - unheard of for me, since I have quite long arms. Another reason to love Jalie! After a bit of umming and ahhing over marking the pleats I decided to thread mark them. I like thread marking because it's very accurate, you can see it from both sides (not necessary for this, but sometimes it is), you can't lose it between marking and sewing, and when you pull it out it leaves no trace. It doesn't even take that long to do. Anyway, Georgia is a big fan of Smiggle (funky stationery shop) and on a quest for small fun things with which to fill her stocking I spotted pencil cases made by spiralling a single zip. Naturally I figured "I could MAKE that!" so I did. 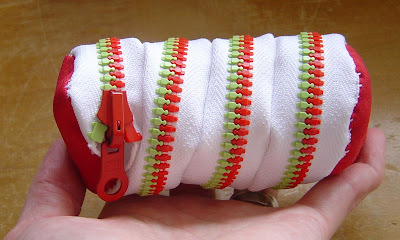 I have a bunch of zips from Tamahine's closing down sale (oh how I miss their sales) so put half each of a green one and red one together for this. Construction is simple, but a bit fiddly. 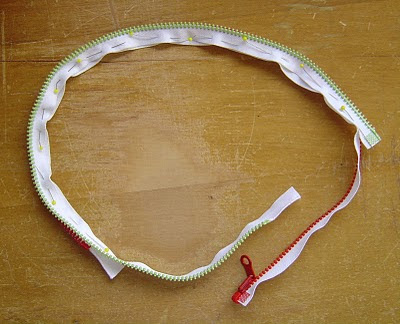 I spiralled the zip into a tube and pinned it, then unzipped it and sewed along the now straight zips. A couple of end caps hand sewn on (no way was I even TRYING to manoeuvre that under the presser foot!) and it was done. It would have been a better surprise had Georgia not seen the photos on the camera before Christmas, but she loves it anyway. 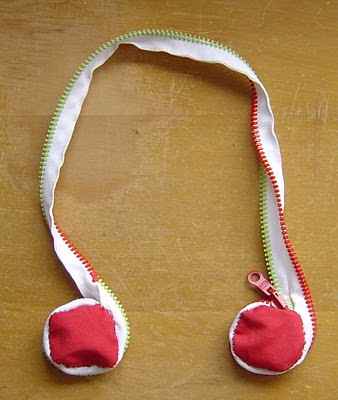 I'm going to buy some zip by the metre from Spotlight so I can make her one long enough for an actual pencil case.